Ask the doc: What do I do about numbness and tingling? Q: What can I do about the numbness and tingling I get in my hands when I ride? A: You must be referring to shaken and squashed rider parts syndrome. Yes, I just made that one up, but it seems to fit like a glove, boot or saddle for the uncomfortable, perhaps numb, tingling or downright painful feeling in your hands, feet, or perineum after a long ride. Your perineum is the part of your pelvis that gets sandwiched between the saddle and the bones of your pelvis. If you are a long-distance bicyclist, you know what I am talking about. Dr. Kaplan is a physician who rides. Got a medical question related to motorcycling? Send it to commontread@revzilla.com and put "Ask the Doc" in the subject line. 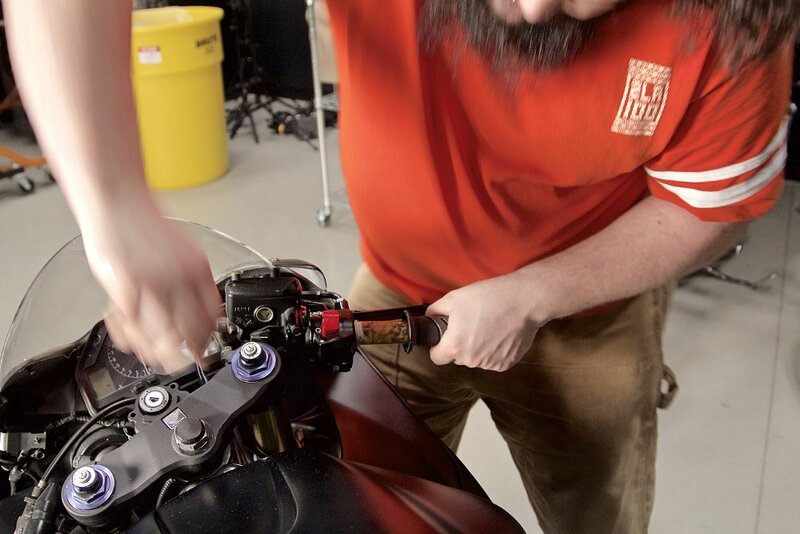 Each of these issues comes from two unavoidable parts of motorcycling — vibration and pressure (like a helmet hotspot). You can get a new helmet, but buying a new motorcycle is expensive. Numbness and tingling (doctor speak = paresthesias) mean that your nerves have been vibrated or squashed (against a bone or other hard object) enough to stop working normally. Generally, this is a temporary condition from which you rapidly recover within minutes to hours. But it is an injury. While meds like ibuprofen (i.e. Motrin) work well for the toe that got squashed during your last tire change, they do little for vibration or pressure injury, so they won't help here. With repetitive injury (think Muhammad Ali and brain injury) the nerves don’t heal and permanent damage results. If you have numbness or tingling that does not go away, you need medical help — now. Do not finish reading. Go to see your doctor. If that is not you, read on to discover some things you can do to prevent nerve injury. Equipment check. Make sure that you bike is working properly, as vibration can indicate issues with your frame (remember when you rode that overly technical trail and had that secret dismount? ), tires, or engine. Your gear may be at fault, too. Check your glove fitment. If they are too tight, they can squash your nerves around the wrist bones. A problem solved by a shopping adventure. Less commonly, feet can be affected, and generally reflects gear fitment. But if your stylish boots fit just fine, gel or armored (i.e. D3O, for example) insoles may do the trick. Use technology to your advantage! Gel to the rescue! Reducing how much vibration gets to your hands (damping) can be as simple as changing to softer grips or buying gloves that have a gel pad in the palm or fingers. Gel seems to be everywhere from bicycle seats to NFL helmets. Some manufacturers offer gel as part of your new seat, while others provide a gel pad that you can lay over your current one. Air-based seat pads also provide damping and offer the ability to (read it like Arnold…) “pump it up” on demand to match riding time and road conditions. Other seats create a channel down the centerline for pressure relief and airflow to keep you fresh! Seat selection should be driven by how your ride, how long you ride, and well, how much weight you are carrying (on your frame, not the bike's). 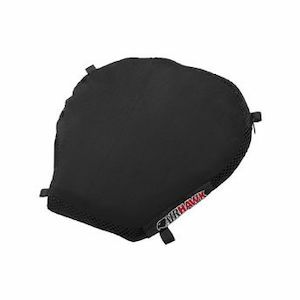 Heavier riders may benefit more from an air seat while lighter ones may be fine with a gel pad. If you are sporting a minimalist seat because it brings out the soul of your bike, but everything is numb after every ride, a bigger or better padded seat may be the answer for you. Move it around. Changing your position in the saddle is tough with many cruisers (like mine), so adding highway pegs to shift your legs and where your bottom hits the saddle works wonders. Common sense may be uncommon. You can, you know, stop periodically to give your hands and your perineum a break. Walk around so that you do not sit on something even more rigid than your OEM seat, like the plastic seats at rest stops. Also, stopping is an excellent opportunity to hydrate, especially in warm weather. Blood flow to your nerves is in part dependent on having enough fluid to pump through big blood vessels and the very tiny ones that go to your nerves. When you are dehydrated, flow in the tiny ones can get sluggish like molasses instead of moving smoothly like freshly changed oil. A cautionary tale: If you can’t feel your fingertips or your toes, you can't be a safe rider at that time. This may mean stopping riding early, or having your bike trailered home or your next destination. Toughing it out won't restore feeling, but may land you in the Emergency Department instead. What other solutions have you found?